Glad you figured out great char cloth! I went to a pioneer village in Logan last summer and we were showed how to make char cloth this same way — it was surprisingly flammable. Great post! Great post Angela. This one is a keeper. I’m going to look for that fabric next time I go to Wal-Mart. great article. I am going to add some char cloth to my fire kit, along side my dryer lint. May I have permission to reprint this article at http://www.72hourplan.com?? 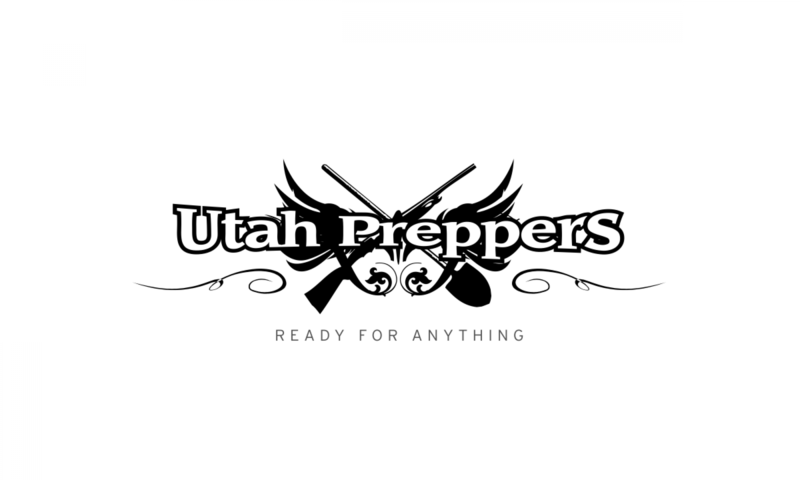 I will of course maintain your byline and link back to utah preppers. Very nice, this is something I’ve been working on as of late. Thanks for sharing. Then you have the method I learned in BYU Youth Leadership aka Desert/Alpine survival – back in 1975 (when you “spend 3 days in the classroom and 28 days in the beautiful Uinta Mountains”). We used old dishrags or dishtowels that were 100% cotton. This was before everyone used dryer sheets in the dryer. Dryer sheets mess things up. Wash your old rags/towels in plain with a little SOAP – NOT detergent, which is what most bath soap now adays is. Rinse them well with water that has some vinegar in them and let them air-dry. Have a #2 or #10 can ready to use to suffocate the fire you're going to make. Now using a finger-thickness piece of wood with a slit cut in the end, hold the towel/rag by one corner and light the opposite corner and let it burn until all of it is engulfed in flames. In fact, let it almost burn up. When it is fully burning, but before it's non-existant, drop it on FLAT ground and cover it with the can. (cloth on ground, can upside down over cloth) The material will continue to burn until it depletes the oxygen in the can (unless O2 can get UNDER the edge of the can). Then it will be suffocated. Let the can sit for about 10 mins to be sure the flames are entirely out and the fabric is cooled. Break the fabric into small pieces and store in a 35mm film canister. Easy-peasy. Takes about 11-12 mins to do. No wasted wood or gas fires. About that dryer lint. Has anyone besides me actually tried to light a flint and steel fire with it? Mine melted, not burned as char cloth does. Well…duh. Most of our dryer lint is polyester/rayon/acrylic fibers and most people use dryer sheets in the dryer. Even some of the towels we have are not 100% cotton. ONLY 100% cotton (or wool or linen) will burn. Man-made stuff melts! So all the dryer lint people are saving probably won't do them any good. When man-made melts and you try blowing on it to increase the flame, it just gets hard and the fire goes out. Same with those cotton balls with the petroleum jelly on them IF they're not 100% COTTON. Yes, a lot of the cheaper “cotton balls” are actually “polyester balls” with little or no cotton in them. At least around here they are and they melt instead of burning. 3 hours?? wow, your a dumbass! LOL it shouldnt take that long 5-12 min produces plenty of carbon stained cloth. and it doesnt have to be cotton, just cloth of vegetation. no synthetics. the thicker the cloth, the better!